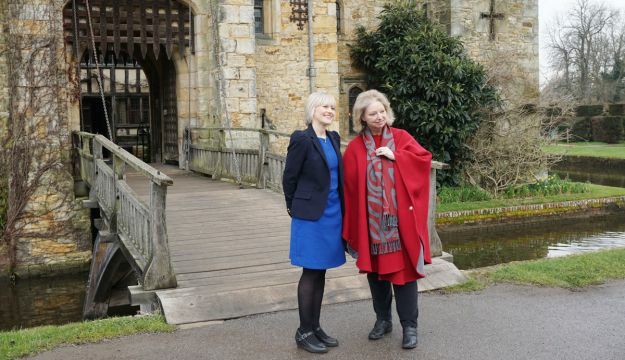 Hilary met with Hever Castle Curator, Anna Spender, and chatted about Anne Boleyn’s relationship with Henry VIII and her time at the castle. The pair discussed Anne’s love/hate relationship with Hever, being banished to the castle in her early twenties after her affair with Henry Percy. Later Anne sought refuge at Hever from the gossip surrounding her relationship with Henry VIII at court, and it provided a sanctuary to recover from the sweating sickness in 1528. 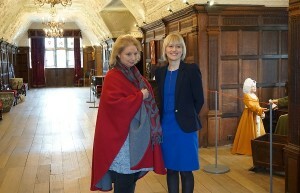 Hilary and Anna also enjoyed discussing the personalities of the various Tudor characters depicted in the author’s books Wolf Hall and Bring Up The Bodies.